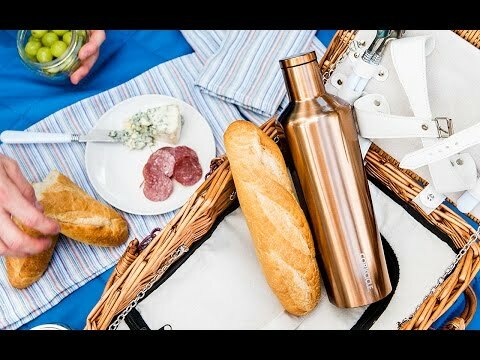 Independent barware company Corkcicle creates innovative ways to chill, store, and serve your favorite beverages. 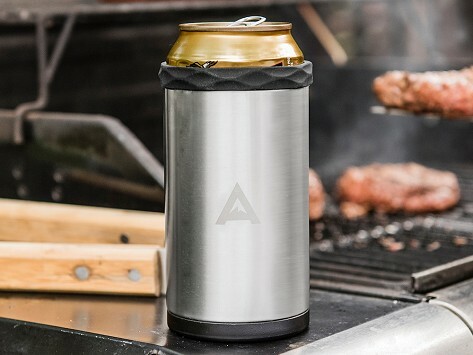 The Arctican keeps 12-ounce drinks cold—but won’t chill your hands. Freeze the cooling core, twist it on, then enjoy ice-cold drinks for up to 3 hours. Dimensions: 3" x 3.75" x 7.5"
I love this can cooler! It keeps my drinks cool for about 4 hours, much longer than any other can cooler I have tried. This is a nice cooler for any canned beverage, a perfect gift for myson in law to be. I sent this to my Mom. I have several Corsicle tumblers and they maintain temperature for 8-9 HOURS! This was a birthday present for my husband. He really like it. It keeps drinks cool until the last drop. I have bought 3 of them and the family fights over who uses them! Independent barware business Corkcicle was featured on The Grommet from its very first innovations. One was a reusable cork that chills wine and the Chillsner, an in-bottle beer chiller. Founder Ben Hewitt was confused why no one had trumped the ice bucket as a wine-cooling device. He started tooling around with a way to chill the bottle from the inside, then showed the first prototype to pal (and ultimate Co-founder) Stephen Bruner. Stephen encouraged him to keep iterating; they teamed up with third Co-founder Eric Miller, and Corkcicle came to life. Their initial ideas were so well received that Corkcicle has continued to grow. Each year, they create more ways for drink enthusiasts to keep their favorite beverages cold. Or serve them with style. Or open them with barely any effort. Whatever your drink of choice, Corkcicle has a unique way to enjoy it even more.